Liquid Gold Kratom comes in a tiny little vial, but make no mistake, Liquid Gold is a potent shot of Kratom alkaloids. One taste, and you’ll realize that your mood is about to elevate dramatically. Liquid Kratom is extracted in the liquid form of Kratom powder. The extracted part means that a lot of leaves are used to make a concentrated liquid extract. This means that liquid Kratom extract is way stronger than Kratom powder or leaves. Usually, the strength of the extract is denoted in the form of 2x, 5x, 10x etc. The more the strength of liquid kratom extract is the higher a number of leaves or powder are used to make an extract of such concentration. Liquid kratom extracts are known to produce very strong analgesia. The alkaloids are concentrated in the extract and thus the effects that are produced are quite strong. Generally, those persons who are going through severe painful procedures or have had fractures, injuries and traumas can take liquid kratom extracts to get rid of the pain. The euphoria or state of well being associated with the intake of liquid kratom extracts is very strong but it’s usually not long lasting as the effects settle into a very relaxed state. Liquid Kratom extracts produce strong relaxation. The relaxation stays for up to 6 hours and this relaxation is needed when you need to focus on some hard task without getting anxious and stressed about it. Just like Kratom powder, liquid kratom extracts also produce simulation but the intensity is greater as extracts are more concentrated in alkaloids. This stimulation allows one to have a stronger desire to work and stay up. At high doses of liquid Kratom extract, one feels sedated and there is dizziness. This effect is helpful for those persons who can’t sleep at night and are insomniacs. We offer a price match guarantee on Liquid Gold, but more importantly, we give good deals to returning customers. 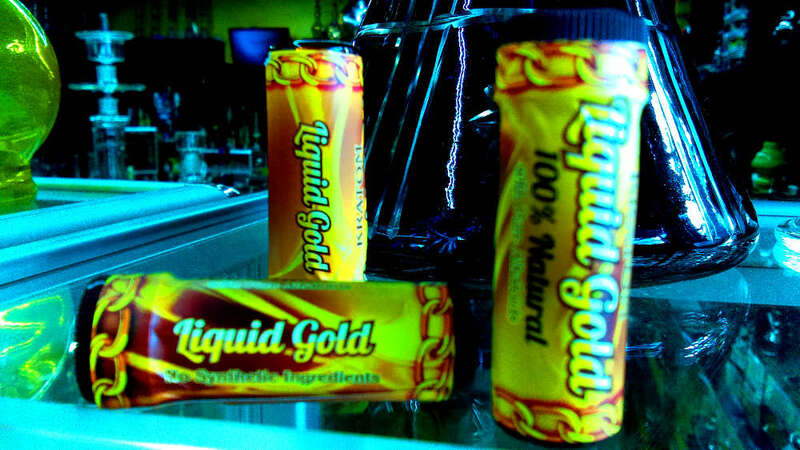 If you want the best deal on a Liquid Gold shot then come visit Lets Vape & Smoke Shop KC In Westport KC.